Founded on 9 December 2004 and approved by the General Administration of Press and Publication, the National Business Daily (NBD) is a nationwide Chinese financial and economic daily newspaper focusing on financial and economic news. As one of the three major comprehensive financial and economic dailies in China, NBD has a tremendous influence on business and investment communities across the country. Since its redesign in May 2008, NBD has become more focused on covering companies and sectors as well as news on investment and wealth management. Leveraging its strong editorial team led by award-winning reporters and editors, coupled with its news reporting ethics centering on the truth, courage to tell the truth and fidelity to the truth, NBD has published a series of major company and sector news, and reports on investment and wealth management, which have been highly valued by the economic business and investment communities and attracted close attention of the economic decision makers, listed companies, multinational financial institutions, industries, economics academia and other media outlets. 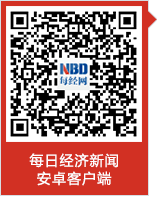 As such, NBD has been hailed as the guardian of China’s socio-economy and capital markets. NBD is printed five days per week. It now has news centres and printing offices in Beijing, Shanghai, Guangzhou, Shenzhen, Suzhou-Wuxi-Changzhou and Chengdu, which constitute key links of its nationwide circulation network. NBD’s core reader base comprises financial and investment professionals, corporate executives, policymakers, economic managers and researchers, and civil servants. Additionally, it is also widely read by high-net-worth individual investors. NBD has a daily circulation volume of 500,000 copies. Assuming three readers per copy, each issue of the daily will have an influence on an average of 1.5 million people per day. 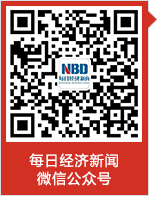 NBD’s website (www.nbd.com.cn) has 500,000 unique visitors each day on average, and the total number of Internet users viewing reprinted NBD articles on authorised partner websites averages 18 million per day. Meanwhile, NBD has 22 million fans following its microblog and up to 1 million mobile device users viewing its digital content via mobile app, demonstrating the profound influence that a vibrant NBD has on the Chinese people. NBD is committed to professionalism, authoritativeness, pragmatism, and viewer satisfaction. With its insightful news reporting and unique perspective, NBD offers great value for business and investment communities as a reliable news source. It has won many of the most celebrated awards including “Media with Best Investment Value in China for 2011-2012”, “Most Influential Industry Brand in China for 2011”, “Most Socially Responsible Financial and Economic Media in China for 2011”, “China Newspaper Advertising Value Ranking for 2010-2011 – Media with Best Growth Value”, “Media with Best Investment Value in China for 2009-2010”, “Fastest Growing Young and Upcoming Financial and Economic Media in China for 2008-2009”, “Most Influential Industrial Media in China for 2008” and “Media with Best Investment Value in China for 2008”. Redefining the standard for China’s mainstream financial and economic media. NBD promptly provides authoritative, professional, relevant, practical and insightful financial and economic news which are original and exclusive to its readers, making it an originator of blockbusting financial and economic news in China. It has redefined the standard for China’s mainstream financial and economic media: striving to drive the transformation of China’s economic system, improved corporate governance and optimized industrial operations, and protecting the interests of the consumers (investors); truthfully recording the financial, economic and social development milestones in China, as a driving force behind the transformation of China’s economic system and a builder of the new financial and economic order who aspires to be the guardian of China’s capital markets and ambassador for the investors. Leveraging its professional, dedicated and specialized team of journalists and editors, NBD has consistently produced highly specialized, exclusive major national financial and economic news with a far-reaching impact, making it a preferred source of domestic financial and economic news. Many of its news reports have been reprinted or cited by such renowned domestic and international media outlets as CCTV, Sina, NetEase, Sohu, Hexun, Ifeng, Reuters, Bloomberg and The Wall Street Journal etc. CCTV2 and ‘Daily Newspaper Reading by Yang Jinlin’ on Phoenix TV are among the programmes which provide prompt analyses and commentaries on NBD’s exclusive reports each day. According to a special survey on NBD conducted by CTR, a research firm focusing on China, 80% of the readers interviewed thought that NBD’s most distinctive characteristics were courage to tell the truth, a sharp nose for news and deep insights. Most readers were impressed with NBD's fidelity to the truth, which embodies the sense of social responsibility. Drawing from the circulation experience of outstanding foreign financial and economic media, together with its own media attributes, NBD has adopted a scientific and precise multi-track channel distribution method. It has set up printing offices in seven central cities – Shanghai, Beijing, Guangzhou, Shenzhen, Chengdu, Wuxi and Hangzhou, and realised synchronous printing with transmission of newspaper contents via satellite. These newspapers are then distributed to more than 20 central cities across the country through modern logistics systems including the high speed railways and expressways. They are in turn sold in thousands of newspaper kiosks, displayed for sale in the airports, onboard planes of key flight routes, metros, high-end office buildings and five-star hotels in major cities nationwide, and complimentary copies are sent to more than 1,000 listed companies and financial institutions. The newspaper has a daily average circulation volume of 500,000 copies, and it has established a retail circulation network that covers the places where China’s mainstream economic masses are found. The transmission value: news determines influence. Apart from the significant growth in the paper-based media, NBD has also gained a huge “eyeball effect” in the omnimedia era thanks to its unique news style. Preliminary statistics show that each day, close to 18 million people come in contact with NBD and its news through paper media (including NBD’s newspaper itself), online media, TV channels, news agencies, mobile media, microblog and WeChat. 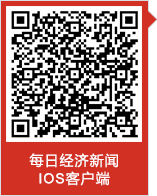 Since its inception, NBD has followed the IT development trend and strived to develop a comprehensive financial and economic media, and create a composite transmission channel integrating newspaper, website, mobile terminal reader, microblog account, WeChat account and mobile newsletter into one. After many years of development, the construction of NBD’s new media avenues has yielded excellent results as its news and information offerings are transmitted to tens of millions of readers through different channels every day. 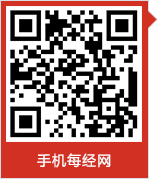 www.nbd.com.cn is a 24-hour financial and economic information platform NBD has focused on developing. The website, depending on NBD’s professional team of journalists and editors, releases the latest and most up-to-date domestic and international news and information to readers at all times, hence making it one of the cradles for online financial and economic news in China. At present, NBD’s official microblog has a total of more than 24 million fans, making it one of the most popular microblog accounts opened by financial and economic media outlets. Through its official microblog, NBD releases various major news and information, which will in turn be transmitted to more internet users by its large number of active fans, therefore greatly amplifying and enhancing NBD’s influence. There are currently 1 million downloads for NBD via eight system clients including iPhone, Android, Windows Mobile, BlackBerry, Symbian, etc., making this one of the key channels for the transmission of NBD’s news and influence.